On Friday February 2nd, in the framework of awareness and social integration of the refugees living in the open structure for refugees of Thessaly in Koutsohero, Larissa, a visit of cultural interest by a group of refugee women took place in the “Diachronic Museum” of Larissa. The visit was organized by the Municipality of Larissa Social Policy Subcommittee in cooperation with the Centre for Research on Women’s Issues DIOTIMA, which implements a programme providing support and management services against Gender-Based Violence, as well as networking and empowerment for women and girl refugees residing in the camp Koutsochero. 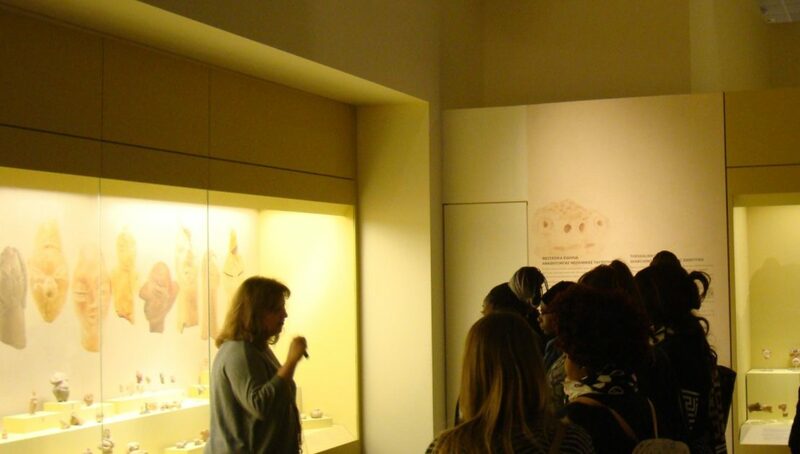 Women had the opportunity to spend the morning in the museum and to be guided around the main section of the exhibition where the Thessalian space is presented over time, the institutional organization of the societies and the course that preceded this organization. State, institutions and power change is how this path is being approached concerning space and time. The action is under way as it will be followed by a second visit by the women’s group accompanied by social scientists working in the structure.